Meet Larry R. Glaze, CPA/CFP®, who brings more than 35 years of experience in business management, accounting and financial planning to our clients. As the senior shareholder of Johnson, Glaze & Co., Larry is recognized for his expertise, ready smile and infectious sense of humor. After acquiring an Associate’s degree in Accounting from Southwest College in 1974, Larry earned a Bachelor of Science degree in Business Administration from Humboldt State University in 1976 and a Bachelor of Theology degree from Corban University in 2004. Larry is also a Certified Public Accountant and a Certified Financial Planner™ professional. Though clearly proficient in tax, accounting, and financial planning, Larry also helps his clients with business valuations for estates, sales and purchase decisions, stock buy-sell agreements and succession planning for businesses. Larry relocated to Salem in 1980 after working as an IRS agent in Northern California. Once in Oregon, he formed the CPA firm, Johnson, Glaze & Company, PC with Nels Johnson. The firm is dedicated to helping clients work toward their financial goals by providing professional, objective advice in all areas of personal and business tax, accounting, and financial planning. Recognizing our clients would benefit by having asset management services under the same roof, Larry and his partners became advisor affiliates of The H Group, Inc. more than a decade ago. This group transitioned to our current firm, JGC Wealth Management, LLC near the end of 2012. A Vietnam Veteran, Larry served his country in the Marine Corps from 1968-1970. Over the years Larry has served on the governing board of churches and other non-profit organizations through the Pacific Northwest. Larry and his wife Donna are proud parents of two sons. Nate, a pastor, and his wife Beca, a school counselor, live in Fremont, California. Luke, manager of Broadway Coffeehouse, and his wife, Jocelyn, a volunteer coordinator, are both with Salem Alliance Church in Salem. Larry and Donna have four wonderful grandchildren. 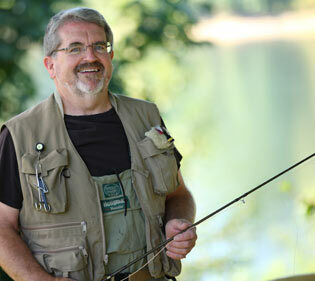 Larry enjoys spending time outdoors fishing and hiking with his family. Larry’s practical and down-to-earth approach helps his clients understand the ins and outs of financial, estate and retirement planning. He’ll ask the tough questions and provide guidance and solid advice, especially for business owners balancing their personal finances and business obligations.